Counterfactuals are stories about how our present might be different today, if different things had happened in our past. They require the careful use of hindsight. We all do at least occasional counterfactual thinking in our personal and organizational domains. When we see mistakes we may have made, we can sometimes prevent those kinds of mistakes from reoccurring, or at least reduce their severity. Some times we simply need time and distance from a past event to recognize what we could have done better. At other times, we need to open our minds to new ideas, seek constructive criticism from a diverse set of advisers, or even unlearn a few things “we think we know that just ain’t so” about how the world works. Such hindsight can be of great value, though like everything else, there are declining returns to doing too much of it, rather than attending to our present, or looking to our future. Most of us, unfortunately, do too little careful assessment of our past. We’ll talk more about ways to strengthen our personal hindsight in Chapter 2. Organizational hindsight will be covered in Chapter 5, as the reviewing skill. The better we know both our history and present, the better we can visualize, lead, and manage toward better futures. Counterfactuals at the global-societal level are also called Alternate History, an increasingly popular literary genre. Global-societal counterfactuals can be regressive (Hitler wins WWII, any other dystopias or apocalypses), neutral (far too many of the wars and competitions we’ve had in history) or progressive (leading to what most of us would see as objectively better futures). Progress counterfactuals or more simply, progress hindsight, are the most important counterfactuals we can find, in my view, as they propose past choices that would have been likely. sometimes even highly likely, to create a better world today. Such stories propose the existence of an objectively better road or roads not taken. They argue that good foresight at the right time and place in the past might have significantly improved our modern world for the better. Thus they also challenge us to imagine how good foresight today can greatly improve tomorrow. Chapter 9 (Trends and Progress) offers a starter list of progress counterfactuals. We would like to grow this collection, and we encourage you to send us others as you find or think of them. Counterfactual collections like Ferguson’s Virtual History (2000), and Cowley’s The Collected What If? (2006), also contain a few progress counterfactuals, though most of the stories in these collections are either essentially neutral or regressive. Such counterfactuals are easier to imagine, but also less instructive. Telling stories of regression informs us a little bit about the nature of progress, but only a little. We really start to understand progress when we find stories that many of us today would agree would likely have led to an objectively better modern world. Let’s briefly consider a few examples of such stories, some major, some minor. In 200 BCE, could the Ancient Greeks, Phoenicians, Early Romans, or another of the early trading and already literate Mediterranean civilizations have invented the movable-type printing press, sixteen hundred years before Gutenberg? It seems so. If the press had been invented, copied, and used by pre-Roman Empire merchants to trade papyrus with stamped maps, drawings, news, humor, stories, and practical advice, it is easy to argue that this would have led to a great flourishing of knowledge and invention, limited the power of the monotheistic religions that arose later, accelerated the growth of democracy, and even largely prevented the thousand-year Dark Ages that occurred in the West after the fall of the Roman Empire in 476 CE. See 200 BCE: A Printing Press in Ancient Greece for this amazing story. If the tinkerers, artists, or entrepreneurs in these civilizations had developed just a little more foresight in the right place and time, we would all be living in an astonishingly more advanced world today. Foresight matters! In 50 CE, could Hero of Alexandria have invented the first practical steam engine for water pumping and ship propulsion, sixteen hundred years before impulse steam turbines by Giovanni Branca (1629) and John Wilkins (1648)? It seems so. Hero invented the first primitive rotary steam engine, the Aeolipile, and even used it open temple doors. He also perfected the hand water pump of the Greek inventor Ctesibius. The Romans even used Hero’s pump and a mechanical fire hose to put out fires. In 2015, Theodosis Tassios proposed that Hero must have connected his Aolipile to his pump, creating the first (but impractical) steam-driven water pump. All Hero needed to do, to make his aolipile practical, was turn its rotating ball into a small windmill rotating on an axle inside a single output jet from his boiler. That slight mechanical improvement would have created the first practical steam-powered water pump, and given the Romans an invention so useful it would have spread across the early Empire. A much better way to pump water up into cisterns would have greatly expanded Roman water works and aqueducts, a universally-valued goal. Slaves would have collected vast amounts of wood and coal. An equally compelling application would have been steam powered turbines for Roman warships (invented by Charles Parsons in 1884). Fast Roman triremes were of vital military interest, and even a first generation steam turbine aolipile would have outcompeted human rowers on well designed steam triremes. See our counterfactual, 50 CE: A Steam Engine in Ancient Rome for more details. Foresight matters! In 1000 CE, could the Norse Vikings have successfully colonized Newfoundland, bringing North America a Norse democracy, 700 years before the United States? It seems so. Norse democracy began in Iceland in 930 CE, their Greenland settlement started in 980, lasted 500 years, and had at least 400 low-producing farms and 2,500 souls. Thorfinn Karlsefni’s expedition from Greenland to Newfoundland Island in 1009 had between 160 and 250 settlers, and was just one of several expeditions to North America from Greenland. If at any point over those 500 years the Norse had had the foresight to run two or three settlements in parallel, each on different islands in different Indian territories, their settlement project would very likely have thrived in the new world. Each Indian tribe had a different culture, had limited contact with other tribes, was thus quite different in the ways it interacted with outsiders. Most may have become enemies, but some could have been developed into allies. Even if most tribes eventually attacked the outsiders, they would each have attacked at different times in different places, as their cultures, practices, beliefs, and languages were all so different. Had the Norse recognized this, and their great strategic and long-range communication advantage in being able to move their settlements by ship, we’d have had a technological democracy in North America seven hundred years earlier. See 1000 CE: A Norse Democracy in America for more. Foresight matters! In 1912, could all the ship’s passengers, and even the RMS Titanic itself, have been saved by using its side anchors, steel cables, ropes, winches, steel bars, and cranes to lash its nose to the massive iceberg that it hit, keeping its front end high enough to prevent the aft compartments from flooding? Very likely so. At least it would have sank at a far slower rate if this strategy had been mentally discovered and employed. Hundreds of additional passengers could have been evacuated to the berg, to other smaller bergs nearby, and to lifeboats and rafts before the ship sank, and help arrived. To find this solution in the time they had, the ship’s leaders would very likely have needed a more open, collaborative, information-sharing and problem-solving process than the brittle, top-down, information-denying processes they actually used. See 1912: A Saved Titanic, for more on this counterfactual. Foresight matters! In 1965, could the US have won the Vietnam War by creating a fully defensible capitalist state of New South Vietnam below the Mekong River? I believe our leaders simply needed to recognize that using the Mekong as a natural northern border, to secure a much smaller and more defensible area for the South’s capitalists, would have made the land below it into an “island” we could easily have defended, very much like Taiwan (a small capitalist territory we were already successfully defending), a space that would still have been plenty large and fertile enough for all the noncommunist Vietnamese who wanted to continue their way of life. Our defense leaders just needed to realize that if we could not secure the vastly larger South Vietnam (an artificial state that had only recently been created) against the Viet Cong, this “island strategy” would be our natural fallback solution. What would Asia and America be like today if we had won that failed and deeply divisive war, with minimal US casualties, successfully defending and empowering roughly eight million South Vietnamese capitalists and entrepreneurs, and establishing a US military base in the Mekong Delta in the 1960s, as in Taiwan, South Korea and Japan? See 1965: A Successfully Defended South Vietnam, for this counterfactual. Foresight matters! In 1970, could the world have had its first permanent “Exhibition City”, featuring the latest and the greatest in innovative and futuristic technologies, being tested and integrated into daily life? We very nearly did. In October 1966, Walt Disney made a visionary film introducing the Florida state legislature to his plans for EPCOT, the Experimental Prototype Community of Tomorrow, a place where corporate R&D groups and entrepreneurs would live and work, find new solutions to the world’s most important problems, and a continual showcase of the best of American innovation to global visitors. Two weeks later, he was diagnosed with metastatic lung cancer, and he died two months later. Imagine how much better society would be today, if Walt had lived, or appointed a future-oriented successor, and EPCOT had become the world’s first permanent crowdsourced innovation showcase and city, starting sixty years ago, rather than the trivial entertainment attraction his successors created. See 1970: A Fully-Realized EPCOT for more on this counterfactual. Foresight matters! In 2000, if the US decided to start subsidizing the growth of the Information Superhighway, and made low-cost fiber and high-speed cellular access a public right, the way Finland did with internet access in 2010, how much farther along would the web, mobile and the internet of things, and all the technologies and business models we can build on top of these critical communication technologies be today? Telecom and cable oligopolies will naturally seek to slow down the growth of wired and wireless bandwidth, as more bandwidth will inevitably disrupt their current business models. Many urban broadband initiatives have been sued by cable oligopolies, to prevent real competition from emerging. The same kind of blockage to commerce and movement occurred in the era of private roads and turnpikes in the US, before they were nationalized, and highway access was made both a public right and free public good. If we’d had real political leadership on bandwidth, access, and affordability issues beginning in the early 1990s, when the information superhighway term first gained currency, and legislation in 2000 at the height of the first internet boom, how much better would the US and the world be today? See 2000: Subsidized American Broadband for more on this counterfactual. Foresight matters! Want a few more potentially inspiring examples? See our growing Progress Hindsight Collection in Chapter 9. As each of these stories argue, whether we like it or not, when we look to our past we can always find a subset of objectively better paths that societies might have taken, paths to objectively better destinations, on average. As we gain progress hindsight, in our global-societal, organizational and personal domains, we can also become convinced the right foresight, coming to the right people at the right time today, will greatly improve where we will end up tomorrow. That realization can motivate us to do the sometimes challenging and demanding work of gaining better foresight today. Perhaps most usefully, progress hindsight can help us to see what past decisions and events would have likely taken us to objectively better destinations, either earlier or later (seeing our developmental past and present), and what past decisions and events would have likely taken us to very different, even unpredictably different present states (seeing our evolutionary past and present). Developmental processes are, by and large, what any complex adaptive system itself “wants” to do, whether we are talking about an organism, an organization, a society, or our entire civilization as a system. Identifying those processes allows us to figure out how we can help that system to develop (reach predictable future states) in a healthy way. Evolutionary processes are, by and large, what the actors inside any complex system should “want” to do. Identifying them allows us to to figure out how we can help that system evolve (create unpredictable novelty and variety) in a healthy way. As we’ll see throughout the Guide, seeing and managing both of these “wants” are fundamental challenges for managers and leaders. Developmental (probability) foresight is particularly difficult for us, as it requires us to make social judgments, which some people are reluctant to do, perhaps because it is so easy to overdo them, to become biased, prejudiced, and chauvinistic. But just because it’s easy for us to fail in our judgments and predictions is no reason to avoid them. We must instead seek to use our foresight in humble, critically-accessible, and evidence-based ways. Once we see more of the subset of historical events that are statistically inevitable, on average, we can better see that subset of present events that may also be inevitable in our time. 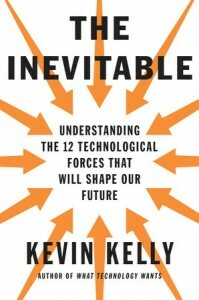 A great book on global foresight with this perspective is Kevin Kelly’s The Inevitable: Twelve Technological Forces that Will Shape Our Future (2016). As we learn how to gain better foresight during challenging situations, we can often find a way to avert disasters, keep our best visions alive, and navigate past our difficulties to a better future. But getting that foresight, and leading others to develop their own foresight visions, requires the right mindset, methods, and motivation. We must avoid arrogance and cognitive bias, use proven methods for uncovering the future, and continually tap into the wisdom of a diverse, talented, and incentivized crowd. Our abilities to do all of these things get better and more widely distributed every year. Let’s say it once more: Foresight matters! What great ideas, what highly valuable probable and progress-generating developments are we missing or devaluing today? Latent foresight sits underused and underappreciated all around us today. It is an immensely rich resource, and every year we get better at believing it is there, and learning how to mine it. That may be the most exciting and important idea we can convey to everyone reading this Guide. Perhaps one of the first exercises on the inevitability at the grand scale is the famous von Hoerner’s article on the fate of civilizations, The Search for Signals from Other Civilizations in Science 08 Dec 1961: Vol. 134, Issue 3493, pp. 1839-1843. It was written at the time when the first interstellar radio message, the Morse Message (1962 – Eupatoria, USSR), was prepared to be transmitted,.”The waiting time for answers may be greater than the longevity of the technical state of mind,” – von Hoerner hypothesizes.